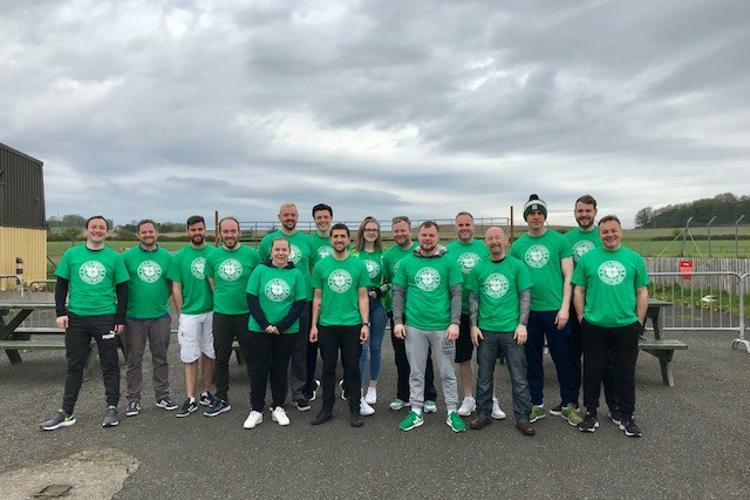 THE sun was shining at Skydive St Andrews on Holiday Monday, as a group of 16 brave Hoops fans took part in the Celtic Skydive 2018, to raise funds for Celtic FC Foundation. Each of the daredevil Celtic supporters jumped from an plane at 10,000 feet as part of a tandem skydive, before landing safely at the site in Glenrothes, Fife. The day began with a training session at 9am but some early overhead cloud added a slight wait for those eager to take to the skies. However, by 11am the clouds had cleared and we were gifted with near perfect weather conditions from there on in, ensuring that it was a fantastic day of uninterrupted skydiving, with our final jump taking place at around 6pm. The experience was a different one for each individual, some with initial trepidation and others bursting with excitement but regardless of any fears, all of the group proudly conquered the challenge. Collectively, the group has raised a magnificent total of in the region of £10,000. Celtic FC Foundation’s four priorities are to improve Health, promote Equality, encourage Learning and tackle Poverty. The net proceeds of this event will assist development of our work providing opportunities for local disadvantaged children and young people to take part in positive, healthy activities. We are extremely grateful and proud of all of those who took part. Thank you for your wonderful support.